Lancer Tactical has created a stand alone chassis for those who do not want to attach their grenade launcher to their airsoft gun. You can carry this onto the field with you as your secondary weapon to switch off to in the time of need. 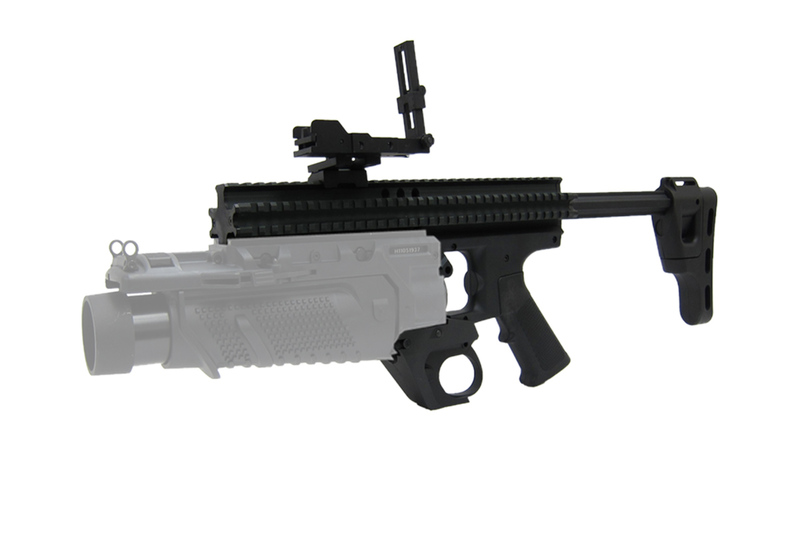 The Lancer Tactical RAS Platform is designed for the Lancer Tactical EGLM Launcher. It may work with other models but, cannot be guaranteed by Airsoft GI.